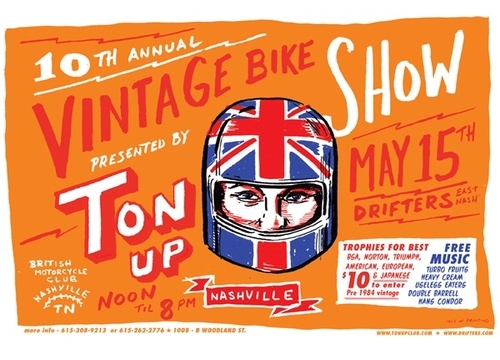 What better way to kick off some Summer fun than with a day-show and lots of sick motorcycles? This Sunday our buddies at Drifters in 5Points are hosting a vintage bike show and having some of our favorite locals play free sets too. Put on your denim, strap up your boots, and ride your wizard on down to the show and see if you can’t win a couple prizes. Worse comes to worst, you’ll get to catch a free show and hang with the hunnies and have a killer Sunday. And that’s nothing to complain about.